I was fairly excited that WTM was being held in Las Vegas. Reason # 1 because it was only a 6 hour drive from Arizona. Reason # 2 the weather was going to be much better than Jersey. Why wouldn't I be doing World's Toughest Mudder? For me the location couldn’t be better, so I had to do it. I love doing OCR’s so much that I get bummed out during the off season, but running for 24 hrs?! Whoa, this was going to be a whole new adventure for me. I was super excited once it was official and I was going to the big show. As a first timer, I had to seek advice from previous mudders about what I needed. I was told bring plenty of comfort food and the right gear. Simple enough, so Amazon.com to the rescue and a last minute trip to Costco. As race day came, I was really anxious and ready to see how 24 hrs of doing WTM would be on my body. I felt physically prepared due to training like crazy for the OCR World Championships which was 3 weeks prior to WTM. The start of the race was a beautiful 70 degrees. The first lap did not include any obstacles and was just a way to break away from other racers. 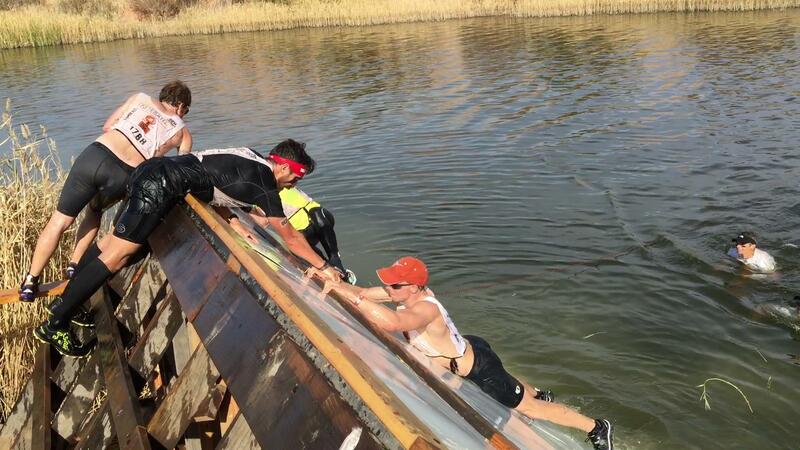 I heated up quickly on my first lap, so I could not wait to be in the water obstacles. Once wet I felt really good. The next couple of laps I felt great, only making a quick pit stop to get a bit of food & nutrition. I noticed while racing that I was pacing with another racer most of the time. He would be ahead me and then I of him, but we would always finish together. When finishing one of the laps I headed to go change. That’s when I realized he was my neighbor in the pit area. So we talked for a bit and it turned out we had the same goal miles in mind. We figured we would stick together and help each other out. At this point we just finished a marathon distance and we could feel the toll in our bodies. Might as well help each other out right? I am not the kind of racer that slows down and runs with a group. I typically like to run fast and give it 100% on the course. Doing that for 24hrs was not going to happen, I realized this race was all about getting the most miles in at a good steady pace and comradery. Regardless of how much better you can do than others or not, it felt right to help a fellow racer or two. You never know when you will need a helping hand, I sure did! 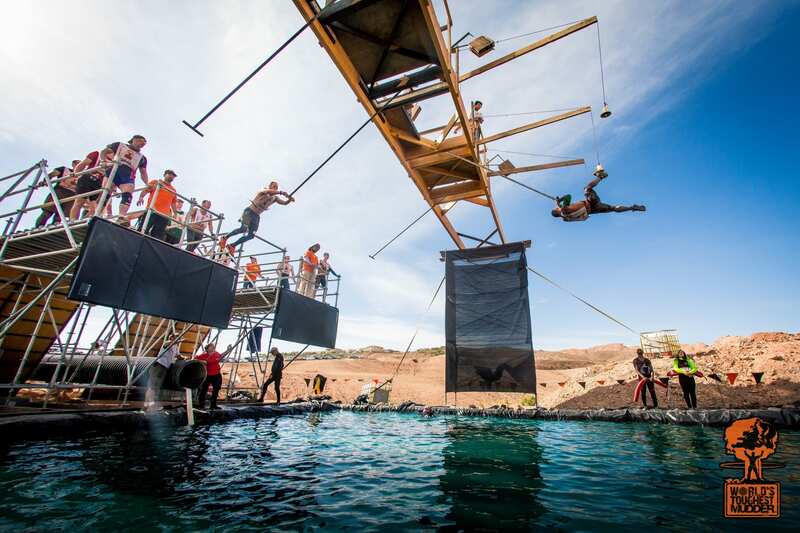 There was an obstacle where you swim for a few minutes & then jump up a slanted wall. Without any help it would be very hard to do. I had help from various mudders throughout the 24hrs and I did my best to help others as well. Worlds Toughest Mudder has some of the best obstacles I have seen. There are too many to name them all, but they are definitely creative and original. I had a blast doing all the obstacles, but I am really glad I was able to work with others on continuing moving forward. Being new to WTM, my goal was to get 50+ miles in, but unfortunately only finished with 40. In reality I got much more than what I expected, I made great friends along the course and experienced one of the toughest OCR events! People comment on how expensive this event is to do, but if you are paying $60-$100 per OCR event for 1-3 hrs of your time, then WTM is definitely worth the money. In my opinion, worth every penny! Can’t wait for WTM in 2015! Did you do World's Toughest Mudder? Share and Rate your experience here.